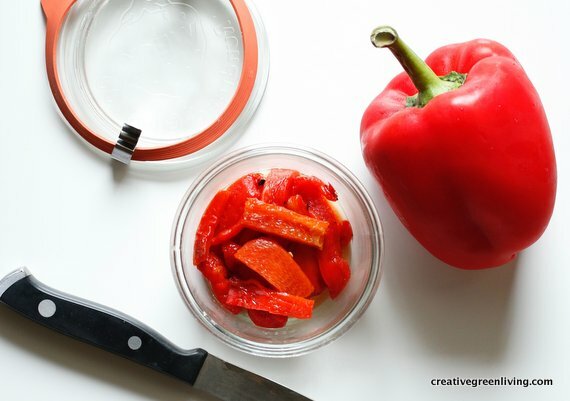 *Creative Green Living recommends purchasing organic peppers whenever possible in order to avoid pervasive, hard to wash off, pesticides. 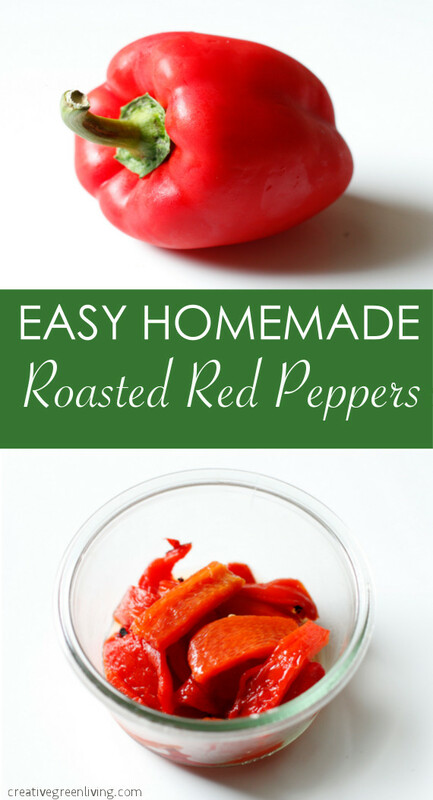 I've also got easy tips for how to grow your own peppers at home! 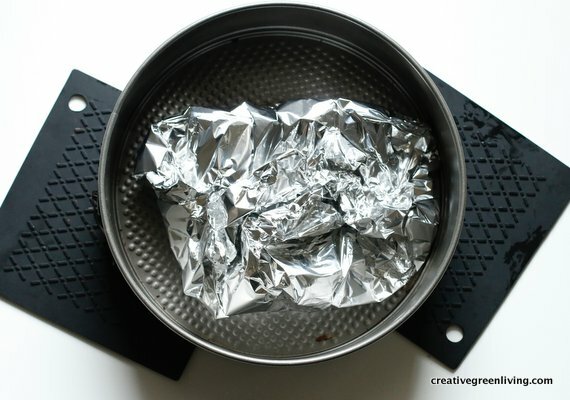 Take a cookie sheet or baking pan and line it with tin foil. 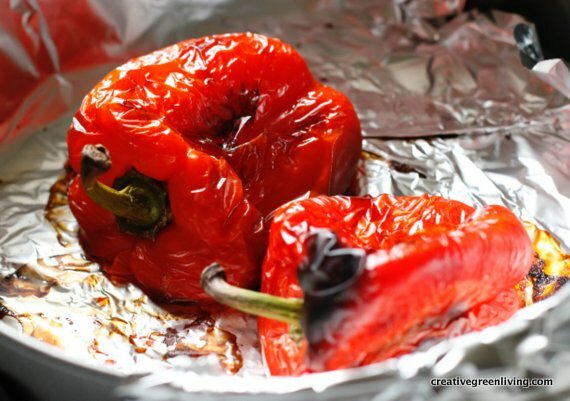 Place your washed bell peppers on the tin foil. 3. 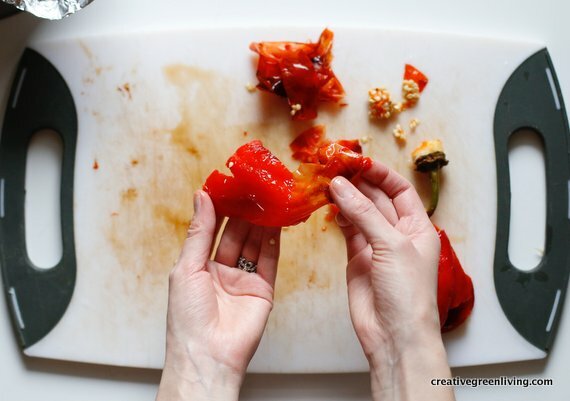 Cook your bell peppers in the oven for about 40 minutes, rotating them every 7-10 minutes. 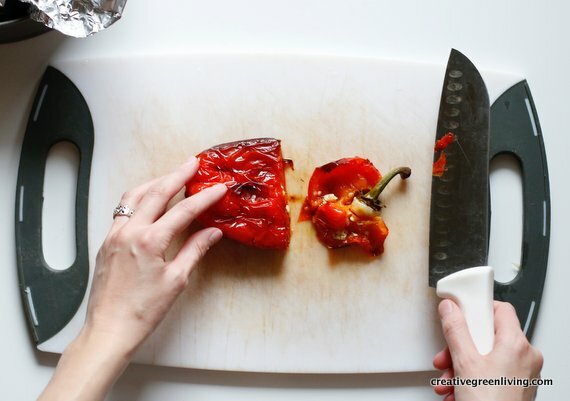 The bell peppers will begin to blacken on each side. When most of the skin is wrinkly, blackened and blistered, remove from the oven. 4. 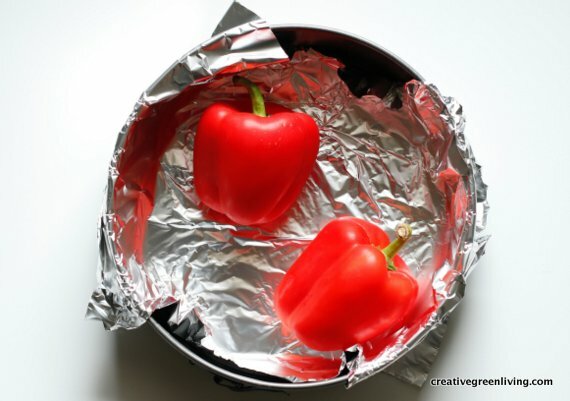 Immediately wrap them in the tin foil and place them on a drying rack, or a cutting board and let it cool for 30 minutes. 5. 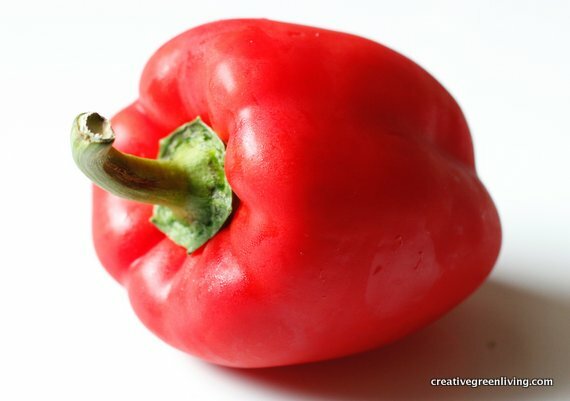 Unwrap the bell peppers. 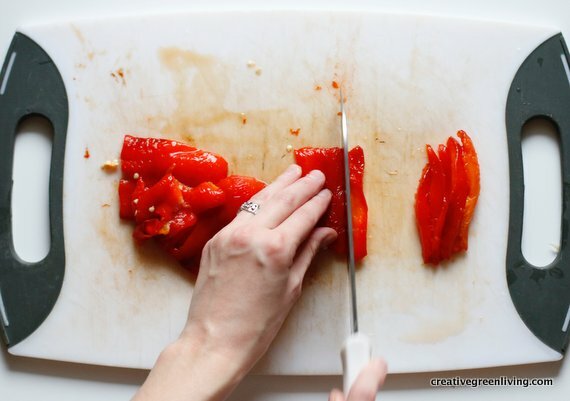 On a cutting board, slice the top off the bell pepper. 6. 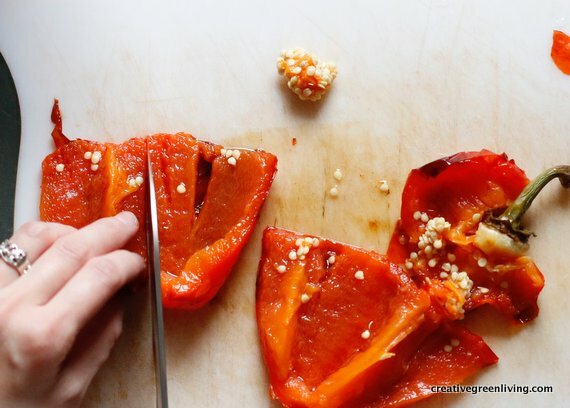 Gently cut the white stem and seeds away from the fleshy red part of the pepper. 7. 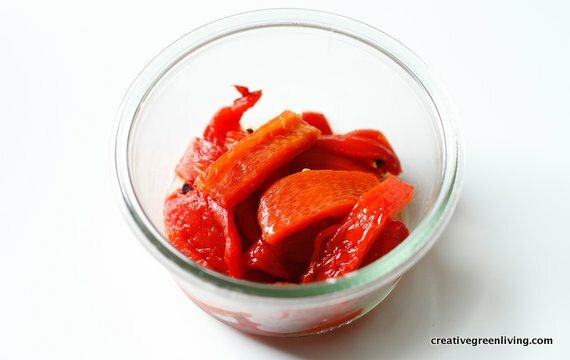 On the outside of the pepper, carefully peel away the blackened skin, leaving the soft red underneath exposed. Discard the skin. 8. 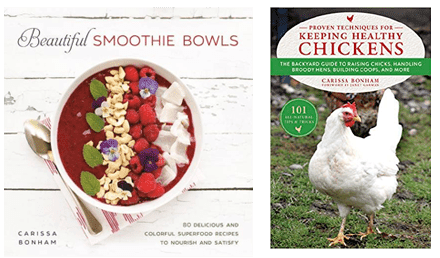 Slice into 1/2 inch pieces and enjoy!